Nancy L. Renninger, 79, of Lewistown, passed away at 5:56 p.m., Saturday, Nov. 25, 2017, at Geisinger-Lewistown Hospital. Born Sept. 18, 1938, in Mifflin County, she was the daughter of the late William and Violet (Gusky) Cutler. Nancy is survived by her loving husband, James W. Renninger Jr. whom she married April 25, 1958; her children, Betsey Lerch and husband, Tom, of New Cumberland, Karen McLaughlin and husband, Randy, of Enola; a brother, Gary Cutler, of Troxelville; grandchildren, Adam Lerch, of Enola, and Rachel Lerch, of Virginia Beach, Va.
Nancy worked at the Lewistown Bon-Ton as a clerk from 1974 until her retirement in 2000. 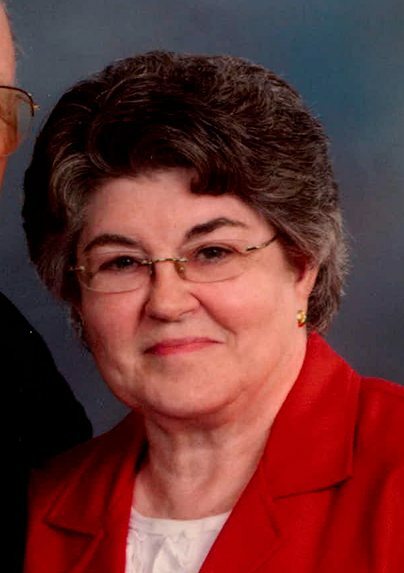 She was an active member of the Grace United Methodist Church where she served on the kitchen committee and administrative council. She was also a member of the Granville Grange and Mother Hubbard’s Cupboard. A funeral service, in loving memory of Nancy, will be held at 11 a.m., Thursday, Nov. 30, 2017, at Barr Funeral Home Inc. and Crematory, 120 Logan St., Lewistown, with Rev. Richard Bender officiating. There will be a viewing at 10 a.m. until the time of service at the funeral home. Interment will take place in Juniata Memorial Park. In lieu of flowers, memorial contributions in Nancy’s memory can be made to Mother Hubbard’s Cupboard, 21 S. Main St., Lewistown, PA 17044, or Grace United Methodist Church, 101 Logan St., Lewistown, PA 17044.